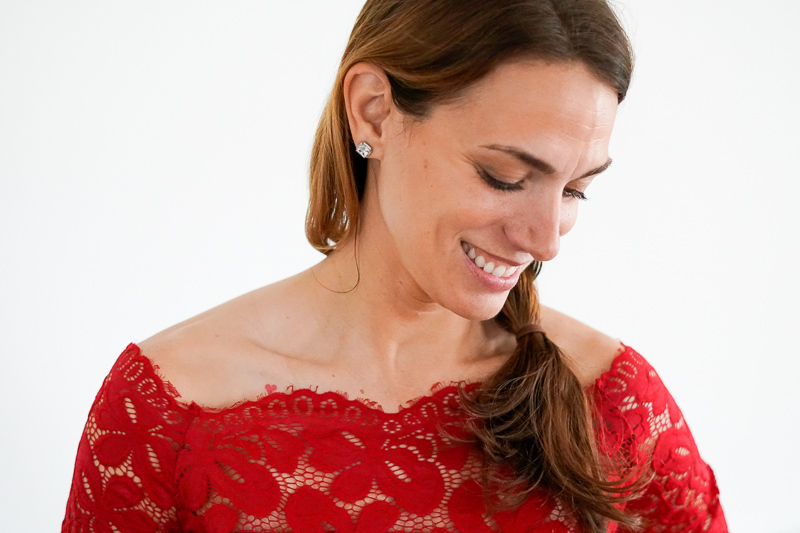 Looking for your perfect date night outfit that you can wear with jeans? 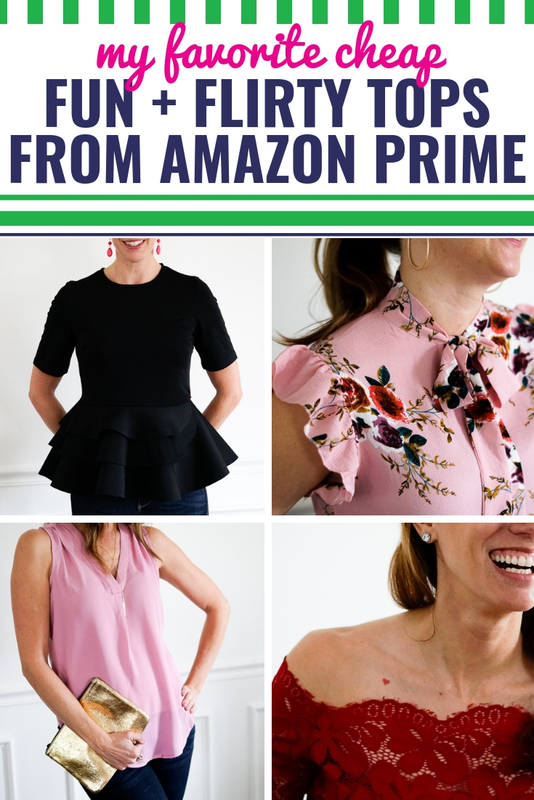 Winter, spring, summer or fall, I’m sharing some of my favorite cheap and affordable Amazon shirts that are fun and flirty. Make them dressy or keep them casual, they can all be classy or romantic depending on your accessories. The best part? 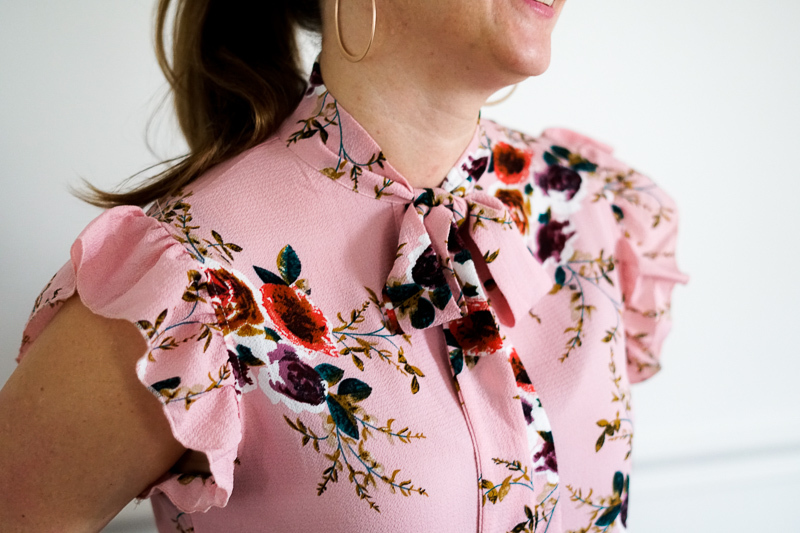 You can style these tops for the office or the playground taking you from day to night. Don’t be afraid to buy clothes on Amazon. All found on Amazon Prime. NOTHING over $30. And sometimes they’re a lot less! Keep reading for all the details and tons of pictures. 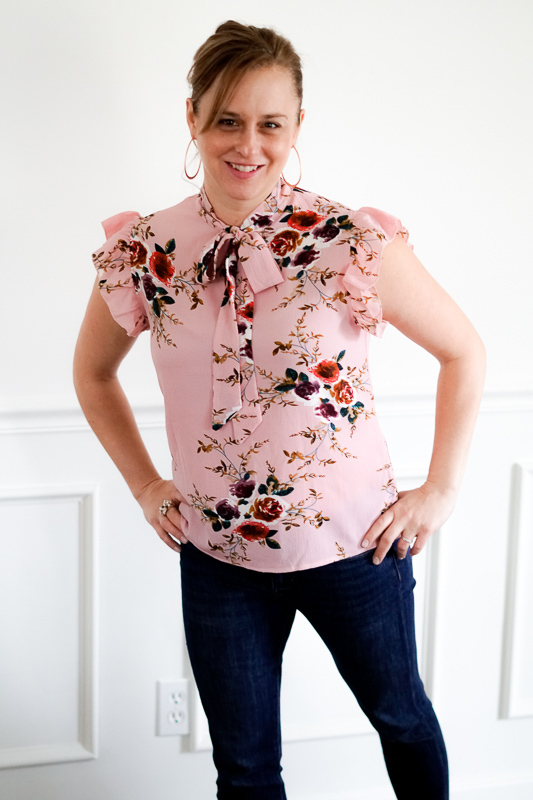 This is an incredibly versatile, flattering top that can be worn with jeans, dress pants or even a pencil skirt. The only thing more flirty than the perfectly cuffed sleeves are the dainty shoulder pleats that are made to flatter every shoulder. 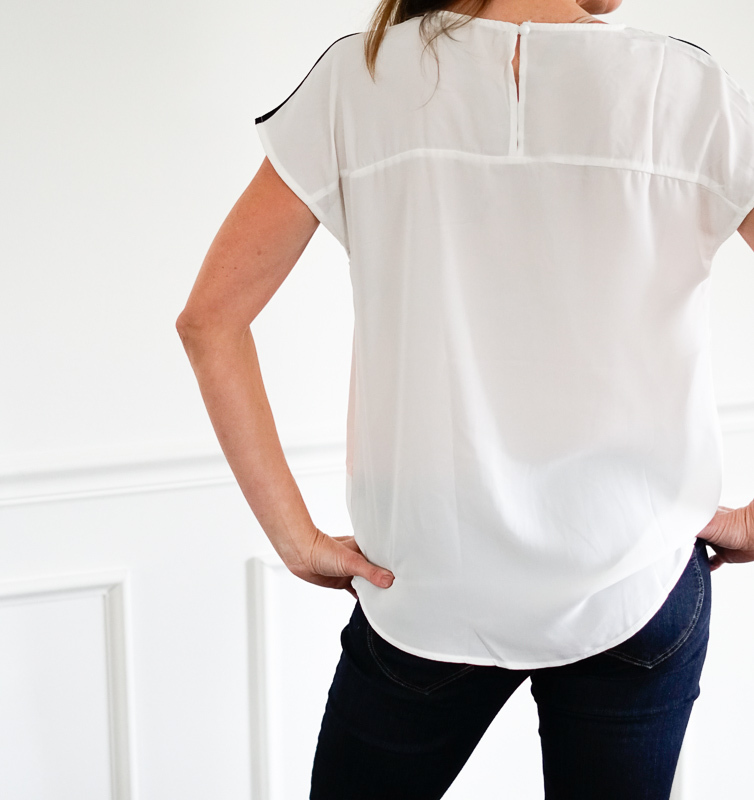 This top has a generous cuffed waistband that perfectly frames the waist and keeps everything in place (conceals alllllll the muffin top)! Fit: Fits fairly true to size. This is a medium. 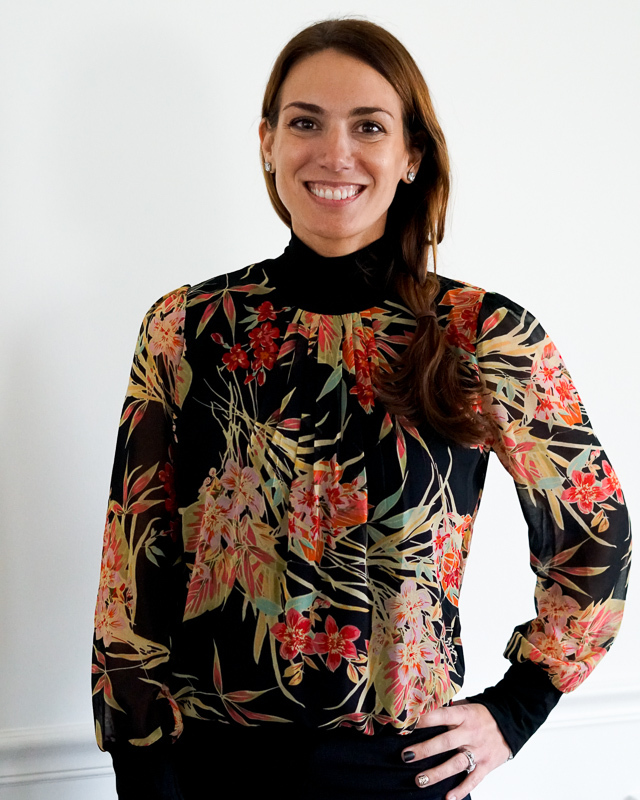 The only thing that has me more excited about this INCREDIBLE, flowered print is the feminine, flowing structure of the top. The sleeves add even more sleek detailing to this gem as they generously open without an actual button-down cuff. While they resemble a kimono sleeve, they are modest and perfectly designed to roll up or leave open (charming with stacked bracelets!). Fit: This runs a little on the larger side. Feel free to size down one size. This is a size Medium. 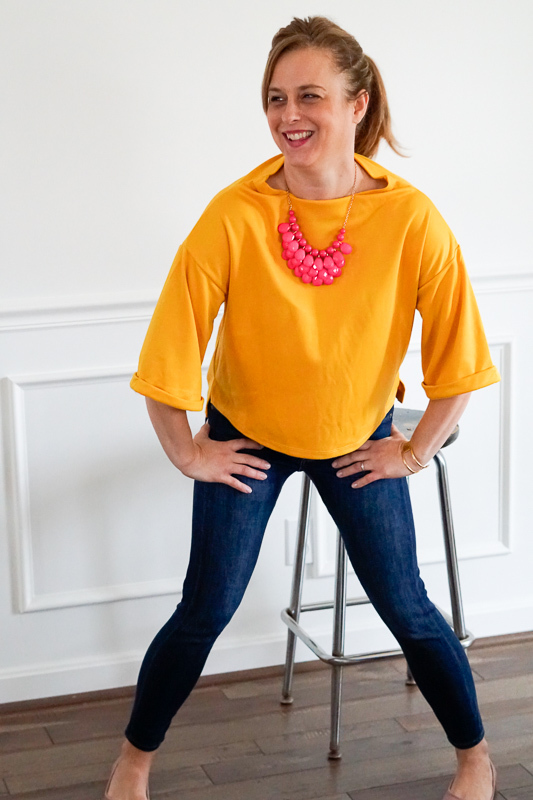 For those special occasions when you want to dial up date night, this top is all you need. 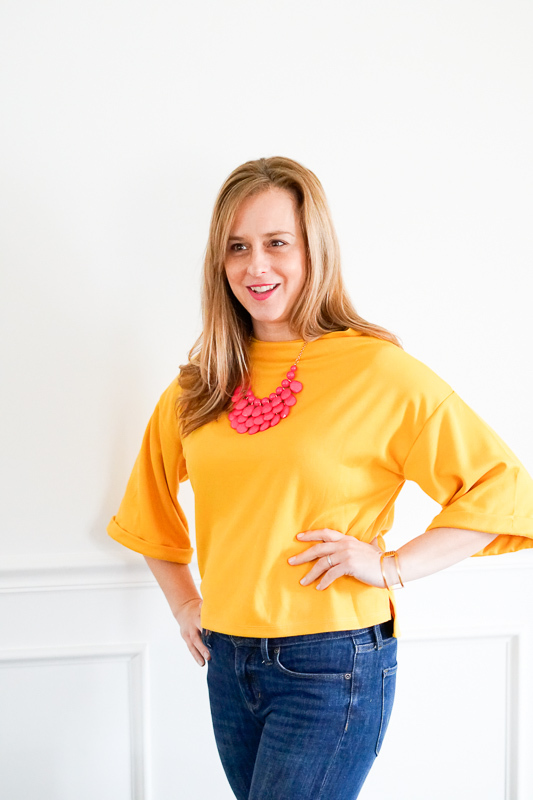 It has two layers, so the shirt can shift with you while NOT getting caught up on troubled areas that we don’t want to emphasize (muffin top). It can be coupled with your favorite jean, black pants or a sleek skirt. The need to accessorize is minimal (a stunning drop earring would be perfection)! Comes in several different colors, although darker colors will tend to be more flattering! Fit: You may want to go up a size. This is a Medium. 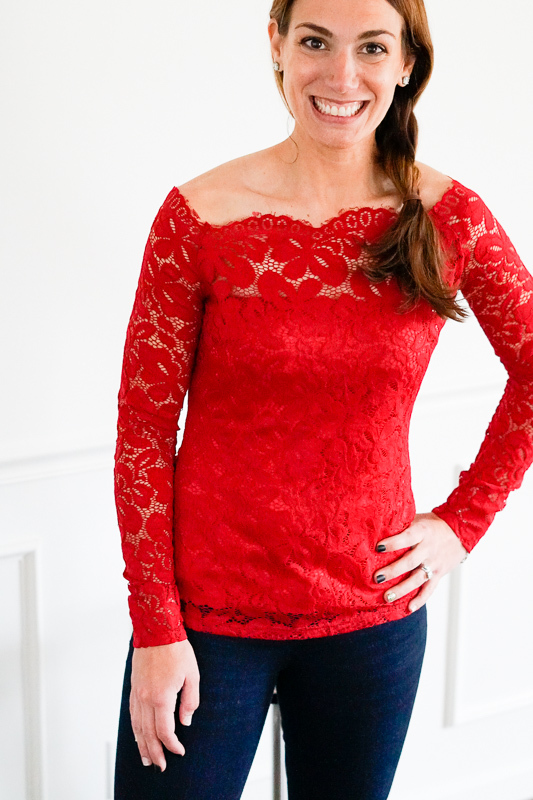 This top has the confidence and structure to elevate your date night wardrobe. 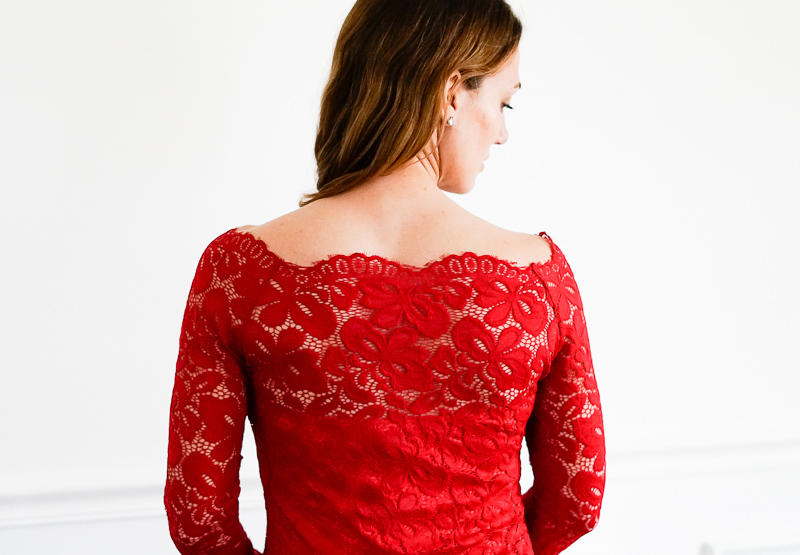 The sleeves are an exaggerated width and the perfect ¾ length! The neckline is precious as a stand alone statement, or can be dressed up with a bold, bright necklace! We love the length and high-low detailing of the hem. 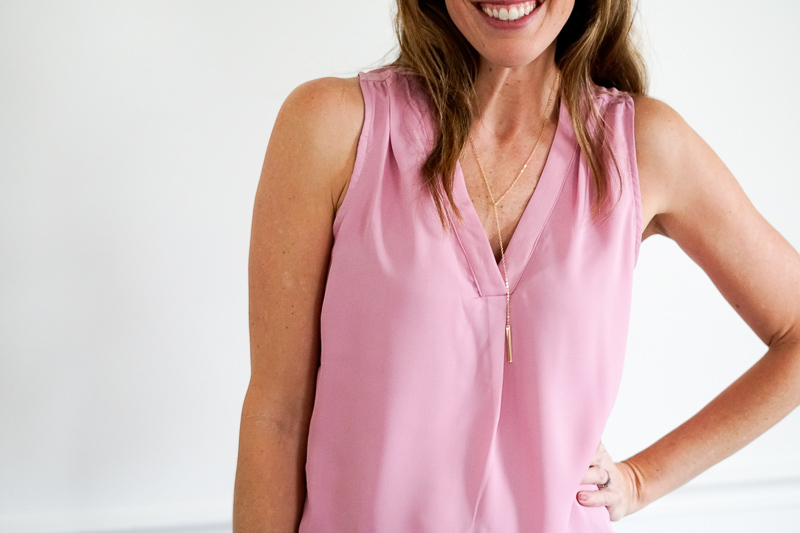 For the longer torso crowd, add your favorite cami or tank to lengthen the top. 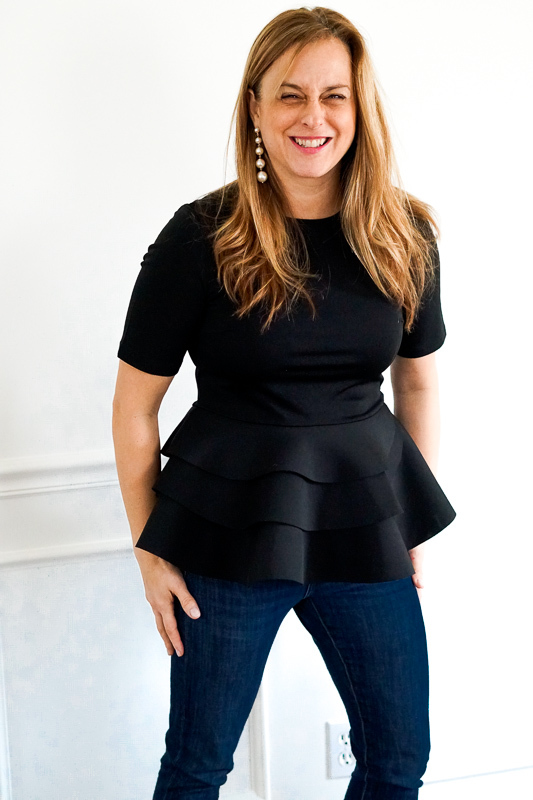 Black pants and a black tank is sure to create that long, lean look we love for date night! ProTip: match shoe/boot, tank, and pants to create length in the body! To take this look further, try adding a high ponytail to your gorgeous hair! Fit: Fairly true to size, or maybe a little on the large side. This is a size Medium. Like the pink necklace? Grab it here for less than $13. 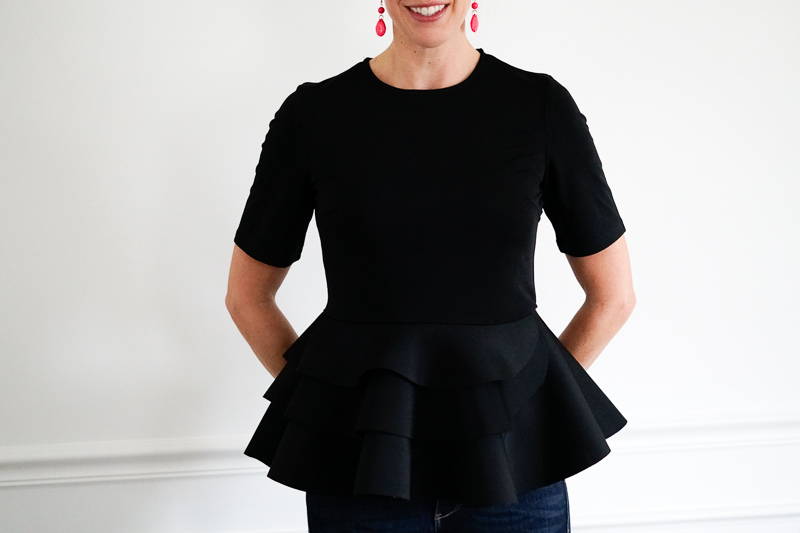 This is one of those tops that can be quickly underestimated UNTIL you treat yourself to trying it on. The hemline is intentionally short on this beauty to add more flirt to the layered bottom, hitting just above the belly button on our moms. The fabric is comprised of spandex, polyester, and cotton, so there is a TON of stretch while also holding a confident and structured clean line. 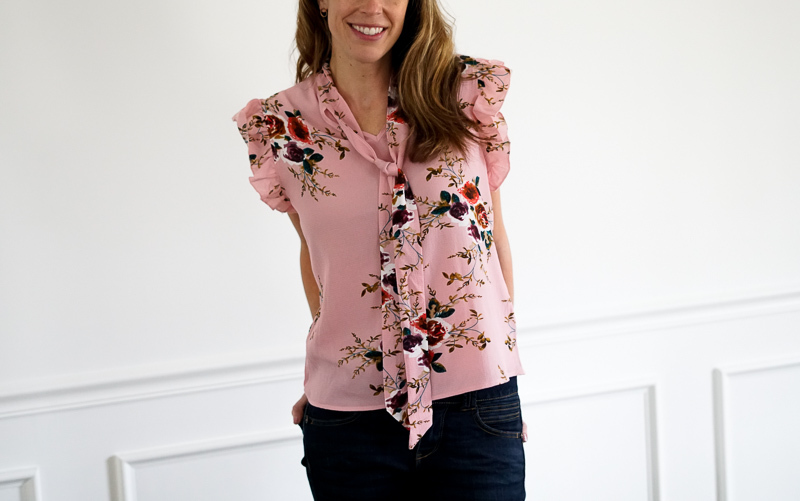 Another reason you will LOVE this top – notice the ‘sweetheart’ sleeve length which lands just above the elbow. This creates length in the body and gracefully flatters every single arm type. The key to pairing this top is to wear your most committed and flattering bottoms. No room for bulky or bunching pants as it would detract boldness and elegance from skirt-like top. Available in several colors, but we cannot get enough of the black! Fit: Fairly true to size. This is a Medium. Love the earrings? Grab them here for less than $13.